Not everything you think and want to express as a playwright can be put into language that can be spoken. Luckily, because if that wasn’t the case, we wouldn’t need theatre. Life cannot be put into words. Between the words, between dialogues; that is where experience, feeling, happens. This feeling between the words, this experiencing of language, is what I believe theatre is all about. I don’t try to give the language a feeling; language does not come from the gut but from the mouth, which is closer to the mind. I try to give the feeling a language. Katharina Schlender, born 1977 in Neubrandenburg, graduated from the Berlin Universität der Künste (UdK) in 2000. She lives in Berlin and works as a freelance author and project initiator. She writes plays for children’s and youth theatre as well as for adult audiences. Audio plays and screenplays are also among her works. She was the initiator and organizer of the interactive writing project PLUNDERN Alte Dinge – Neue Geschichten. She directed the play steinrot&moosblau by Gerd Knappe, and was founding member of the BattleAutoren group, hosts of Berlin’s first fully independent drama meeting DramaTischTage – a festival for playwrights exploring contemporary drama. 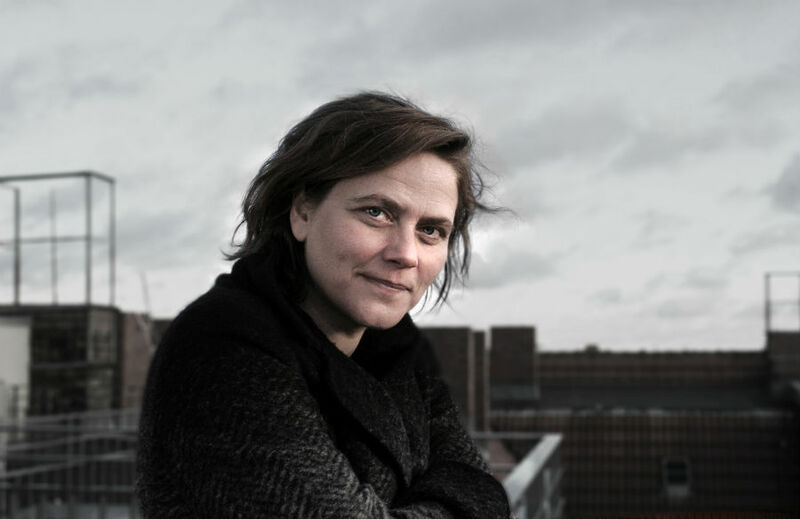 She has received several awards for her works, including the author’s prize of the Heidelberg Stückemarkt for Wermut, the Baden-Württemberg Youth Drama Prize for Renatenente and the play Plumpsack, and the Kleist Prize for Young Dramatists for Trutz. Playing with the human image is still possible. No matter how much someone pretends to be something else and no matter how good or bad their pretence is, there is one question that was asked before social media and is still asked today: Who am I and who do I want to be? Wide open, here I suddenly stand in the world. When you can’t read or write the native language you learnt to speak, how do you understand the world? And how does the world communicate with someone like that, someone illiterate? When you can read and write the native language you learnt to speak but are in a place where nobody understands that language, how do you talk to the world? And does the world communicate with someone like that, someone strange? The woman is yearning. She is standing in her kitchen and cleaning and cooking and seeing to things. She blends with the objects; she becomes the work, looking at herself from pots and pans. She has to get away. In her early forties. Where does a nameless and weightless person like her get some happiness? From a journey or a course in something or other? She sets off. Hardly a thought to tie her to her family. Calmly, she disappears into the streets of Berlin (or some other city), loses her way, meets a man called Fouzi. He works in a kebab shop and she takes everything the wrong way. Or the right way? She’s on unfamiliar territory. She is an open book, caught between the sky and the gutter. A happiness-seeker, she finds work that she wasn’t looking for, a place to stay that is no more than a place to stay. One of thousands, she slowly and even more slowly becomes a ME and a SHE. And she starts to speak. This text is available for premiere. Where is the gap in the rat race? The rat race between happiness-seekers. The performance society runs and runs. Isn’t it already far too late? When one of them suddenly stops running, when one stands still and actually seems quite content, the others stumble over him or get out of his way. If you are content there are no boundaries any more. Nothing to overcome. You stand still and become detached from the others, you dissolve into the others. Where do you go? Are you no longer a human? Not yet an animal? There can be nothing in between. A zebra has black and white stripes. There is nothing in between. There is Kurt Gromann. An untroubled, happy even, member of the new underclass. Subsistence level, poverty line and no prospects anywhere. That is Kurt Gromann, so he should be sitting on a park bench somewhere, miserably boozing. He is neither work-shy nor unwell, nor unimaginative, yet at the very outer margins of the system. But you won’t hear any admission of defeat from him. Anxiety about the future does not torment him. He is content. He steadfastly eludes the general struggle and seems to feel irritatingly happy in his own poor skin. This quietness of heart starts to annoy the people around him. Before he can infect them with the germ of non-demands, Kurt Gromann is made a guinea pig in a test lab. But even here, this anti-heroic provocateur cannot be forced to become part of the meritocracy. When the intrusions on his contentedness become unbearable, before everyone’s eyes, he turns into a zebra-like creature, joins a herd and disappears.